MailChimp is one of my favorite marketing services. The fact that there is a free option makes it even more appealing to me, and many other marketers. No matter where you stand on the MailChimp vs. Aweber debate, any marketer worth their weight in salt knows that email marketing is still effective and that services such as MailChimp are still important. For smaller businesses, or those without extensive email lists, MailChimp could provide a free option for email marketing. You can send 12,000 emails to 2,000 recipients per month without spending a penny. 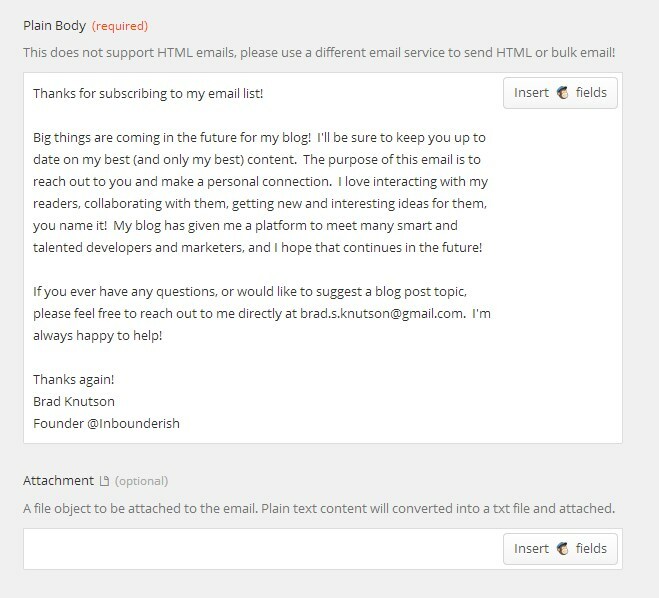 You get access to hundreds of pre-built email templates, the intuitive email builder, and subscription form generator. The only thing that isn’t included in the free account is autoresponders. What is an autoresponder? An autoresponder gives you the ability to send a personalized email to a single individual immediately after they subscribe to your list. This email isn’t tied to any campaign, and isn’t sent out in mass. Autoresponders are sent one at a time to new subscribers as they join. I always wanted the ability to welcome new readers to email subscription and thank them for signing up, but a paid MailChimp account isn’t in my budget at this time. Zapier is an awesome service that I’ve grown fond of recently. It offers the ability to create triggers and actions based on dozens of APIs across the web. It’s a marketers dream for marketing automation. Social media, emailing, posting, you name it – there is probably an existing “Zap” already made for you to use. I noticed that after authorizing my MailChimp account through Zapier, that I was able to trigger off a new subscriber being added to a list. I also noticed there was a few actions I could create that would send an email. Thus, my MailChimp autoresponder was born. This “Zap” triggers off a new MailChimp subscriber and uses my own Gmail account to send an email to that individual. See for yourself. Sign up for my email list (c’mon…you know you want to…). If you’d prefer to built your own “Zap,” here is the step by step guide to doing so. Head over to Zapier and create a new Zap. 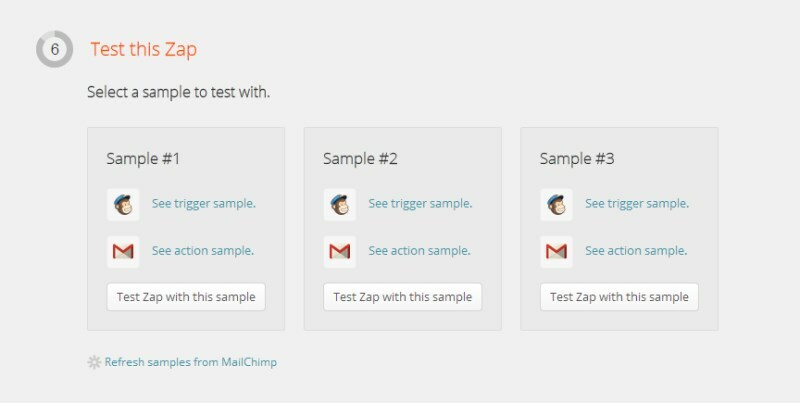 Choose the trigger as MailChimp and New Subscriber, and the action as Gmail and Send Email. 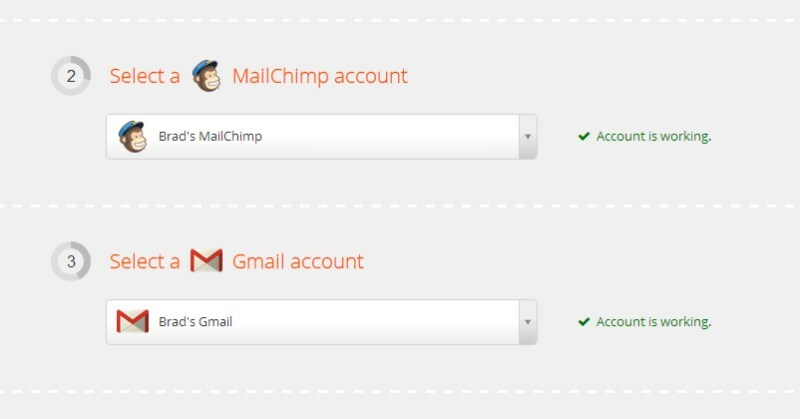 Authorize your MailChimp account through Zapier as well as your Gmail account. Test both accounts to ensure they are working properly, otherwise reference Zapier’s help documentation if you run into trouble. Most MailChimp users are familiar with having multiple lists, so make sure you choose the list you want to trigger off here. You can make things really specific by adding a filter, but I would suggest leaving that field empty. This is where we’ll create our email template. 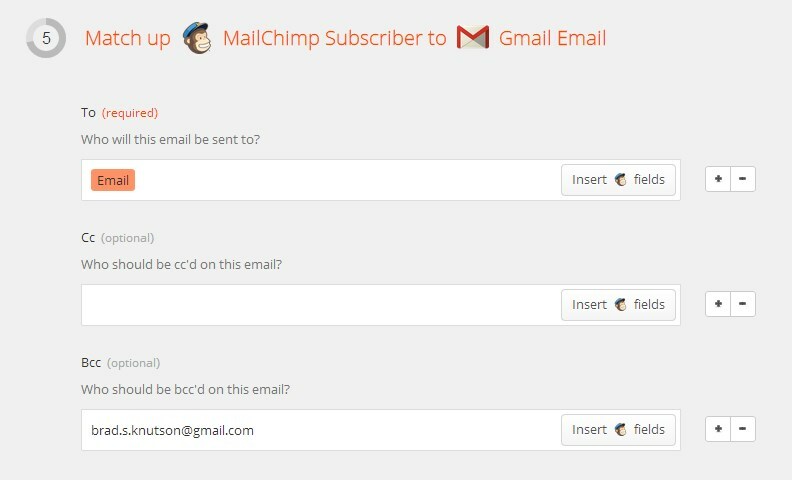 Use the MailChimp variable email as the recipient, fill out any CC or BCC, the “From” name, “From” email address, reply-to email address, and Subject line. These can all be manually entered values, as they likely won’t change from subscriber to subscriber. Lastly, write out your email text. The Gmail action doesn’t allow for HTML emails, so make sure it’s in plain text. 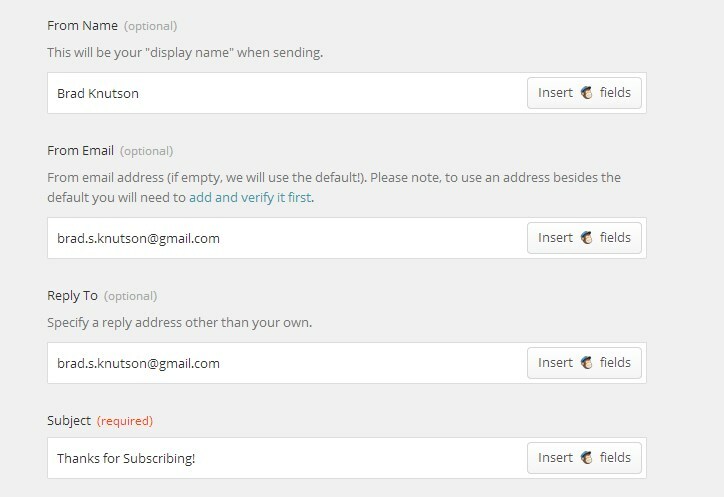 You can use MailChimp fields like name to personalize the template if you’d like, but for my uses I choose non-personalized text. This works well if your personal email address is your most recent subscriber. It’s obviously not a perfect solution, and ideally if you need autoresponders you would sign up for a paid MailChimp account. However, for those bootstrap start-ups like myself, free is the best price. Let me know what you think, or if you’ve come across a better Zap to accomplish this. There are other email options, so I’d be interested to see what others have come up with.